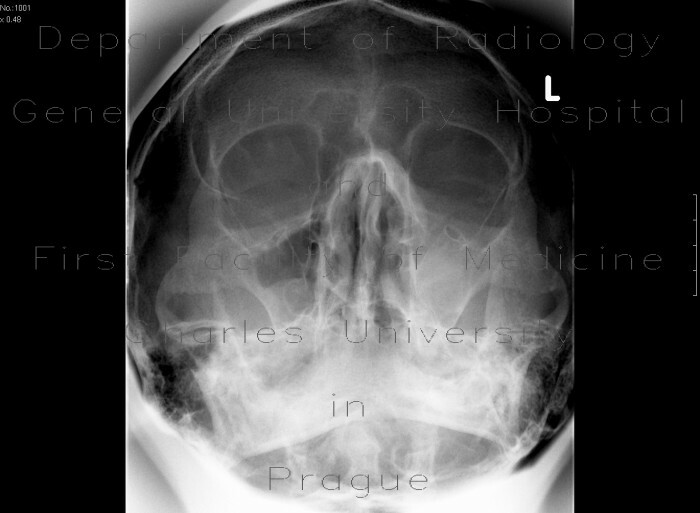 Shadowing of the left maxillary sinus. Thickened lining of the right maxillary sinus. Semioval formation in the alveolar recess of the right maxillary sinus is presumably a polyp or cyst.